We’ve developed an intelligent microphone to give musicians, video creators and live talent even more mobility and flexibility when it comes to being heard with our Ultimate Enahncer microphone specially designed for usage on PC and Macs through an USB connection. Offering richer, deeper sound quality than a common microphone, the Ultimate Enhancer turns anyone into a professional audio engineer. The Ultimate Enhancer features a studio-quality capsule that musicians, vocalists, home producers, podcasters, broadcasters, and voice-over artists can use to create highly professional content almost anywhere. An ordinary looks but powerful microphone, the Ultimate Enhancer minimizes background noise and isolates main sound sources for recording with clarity and conciseness. 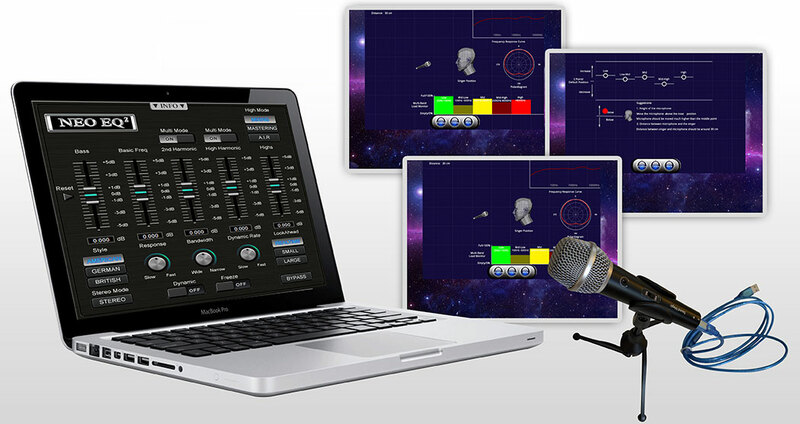 TheUltimate Enhancer intelligent microphone is a truly remarkable recording device for your PC or Mac. Offering crystal clear recording sound and a plethora of individual sound management control, you can get our professional microphone today by clicking ‘Add to Cart’ now. Our microphones are going fast so get yours today and start creating unforgettable videos and voiceovers with gorgeous, high-definition sound. Get the Ultimate Enhancer today and see what a big difference it can make in your personal and professional presentation life.